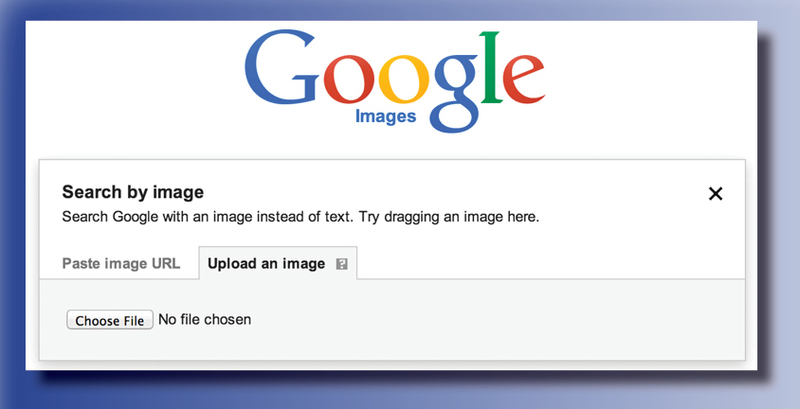 A “reverse image search” allows you to search the internet for previous versions of the same picture. This is crucial for determining if an old image is being “recycled” as new. Especially during emergencies, old pictures are often posted online, and go viral due to uncritical re-sharing through social networks (this happens regularly both during complex emergencies and natural disasters). Further, a reverse image search can also allow you to track down the original uploader of an image. Tip: A reverse image search can also be highly useful to track down previous versions of YouTube videos! In this case, perform a reverse image search with the thumbnails that are created by YouTube when uploading a video (all three thumbnails created by YouTube can be extracted through the YouTube Data Viewer). Both Google Images and TinEye allow to search by either URL or by simply uploading an image. Clicking on the little camera icon on the right end of the search bar allows to search by image. 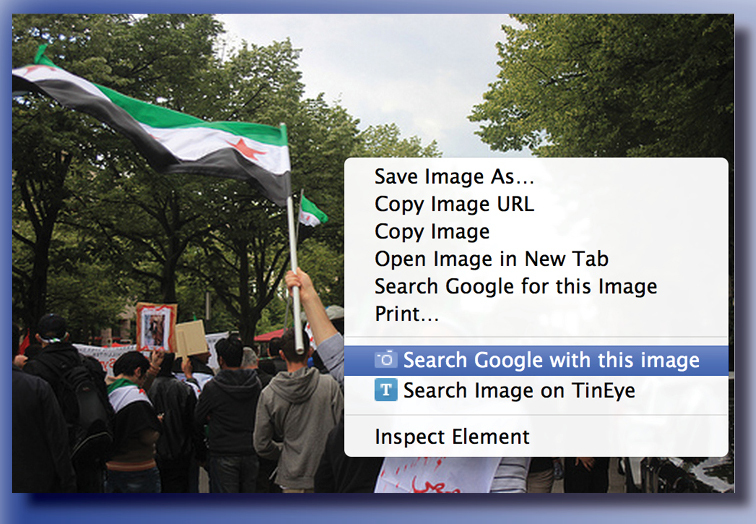 Once the Google Images or TinEye browser extension is installed, it is possible to perform a reverse image search by right-clicking on the image and choosing the function from the context menu.